Want to book flight tickets but do not have time to do so? Then do not fret. DHRUV TRAVELS provides with the most efficient airline ticketing facilities all over India. 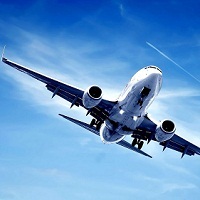 We book air tickets for you as per your needs at a very low costs and much lesser time. We have a team of officials who are well verse in this field and would be available 24x7 at your service. We even book tickets on immediate basis as well and we have no hidden charges.